Out of Home media giant Clear Channel UK has kicked off a period of rapid expansion of its premium digital brand, Storm, with the addition of three new hand-selected London sites, launching on the 10th August in Billingsgate, Lambeth and Shoreditch. We’re delighted to be launching the latest London Storm sites in Billingsgate, Lambeth and Shoreditch. The Billingsgate screen is located in front of Canary Warf and reaches major traffic flow from East London towards Docklands, The City and Central London, as well as residents of the vibrant Tower Hamlets area. The site features a stunning bespoke ‘fish scale’ design which appears to shimmer in the wind, paying homage to the famous Billingsgate Fish Market nearby. Also launching is Storm’s Lambeth Palace Road screen, located next to Lambeth Palace and in close proximity to Westminster and Parliament, which brings a digital large format opportunity to the area between Vauxhall and Waterloo, targeting Southbank and the London Eye. The Lambeth Palace Road site has been developed in close partnership with Lambeth Council and Guy’s and St Thomas’ charity as part of an effort to enhance the urban environment. The Lambeth Palace Road site features a unique wooden design – the first of its kind in the UK. The site incorporates a planting system and walkway designed in conjunction with the Old Paradise Yard, a project led by EAT WORK ART who regenerate previously derelict spaces into innovative communities for creatives. Old Paradise Yard will be maintaining the planters with seasonal plants, shrubs and vegetables and the site itself has been designed as an extension of existing community gardens. 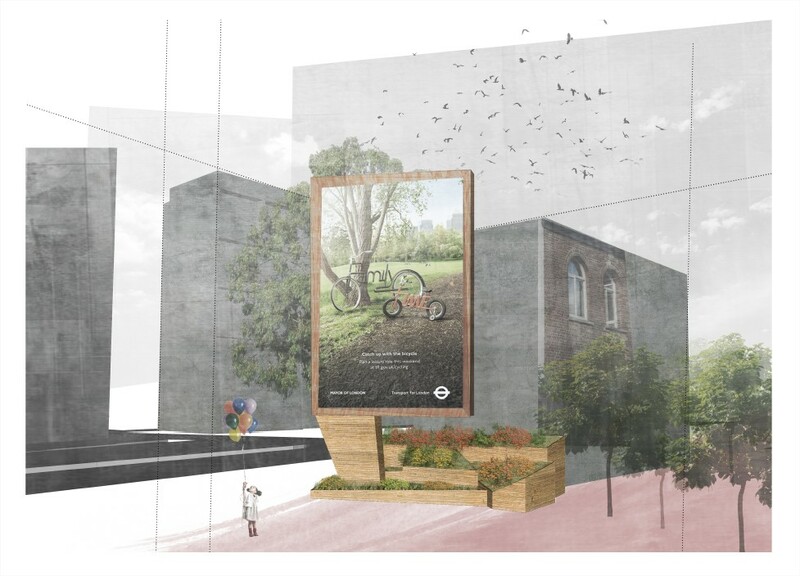 The new Lambeth Palace Road site design complements the surrounding area and has been created to rejuvenate a space that has been the target of anti-social activity in the past. Storm’s Shoreditch screen, located in the heart of East London on Shoreditch High Street, targets traffic flow towards Liverpool Street and offers advertisers the opportunity to reach a valuable audience of young and trendy urbanites in the area. A stone’s throw from Shoreditch Station, bordering Bethnal Green, Brick Lane and Spitalfields, the new site is in close proximity to fashion and socialising hotspots in Shoreditch as well as famous Tech City and pop-up mall, BOXPARK. These three new sites are accelerating Storm’s expansion, which began earlier this year as part of Clear Channel UK’s major digital expansion, boosting the iconic digital presence in South and East London and complementing a comprehensive offering in the West and North of the capital. The additions bring Storm’s current portfolio to twenty – nineteen of which are in London – with further sites to be announced soon. Aimee McKay, Managing Director at Storm, said: “We’re delighted to be launching the latest London Storm sites in Billingsgate, Lambeth and Shoreditch. I’m particularly proud of our collaboration with Lambeth Council and Guy’s & St Thomas’ charity to revitalise the area. Storm is the UK’s most flexible and creative digital Out of Home media owner and these are the first of many announcements, as we will be rapidly expanding our nationwide network soon – watch this space”.